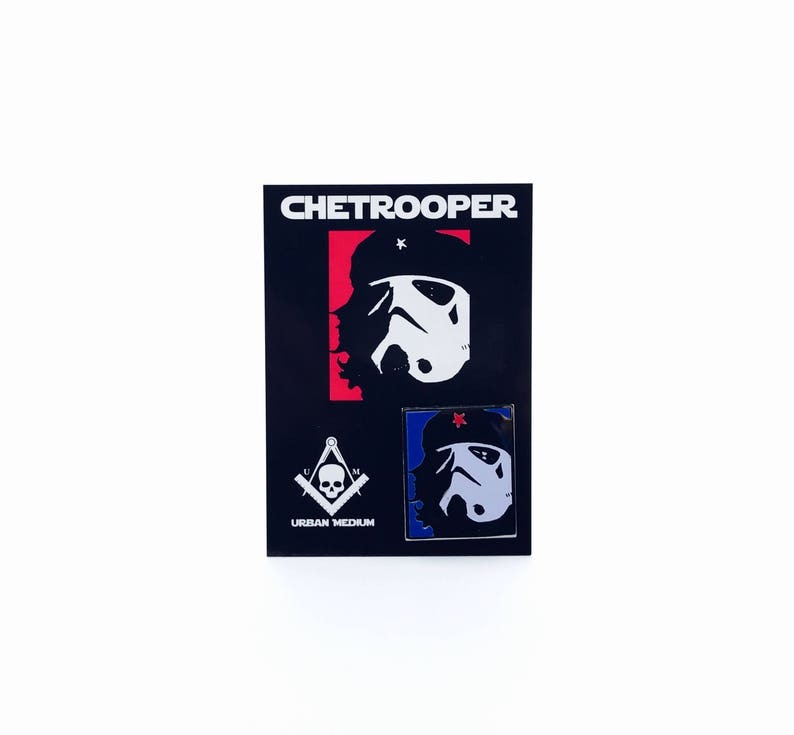 Urban Medium's iconic Chetrooper is now available in a Red, White and Blue Glow In The Dark Edition on a beautifully polished 1.25" hard enamel pin with a black nickel mirror finish! And because it's hard enamel you can even see it glowing in the daylight! So show your support for la revolución and snag one today!